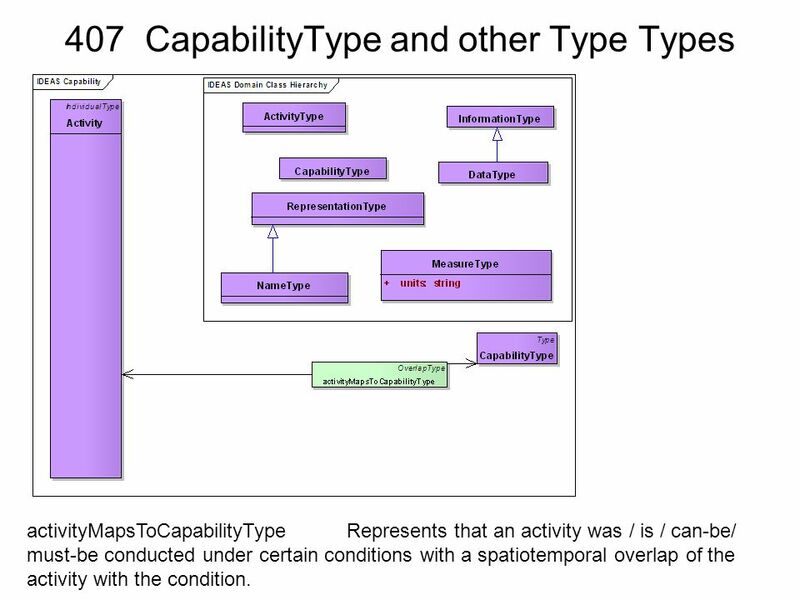 activityMapsToCapabilityType	Represents that an activity was / is / can-be/ must-be conducted under certain conditions with a spatiotemporal overlap of the activity with the condition. 28 First Pass – High Level . 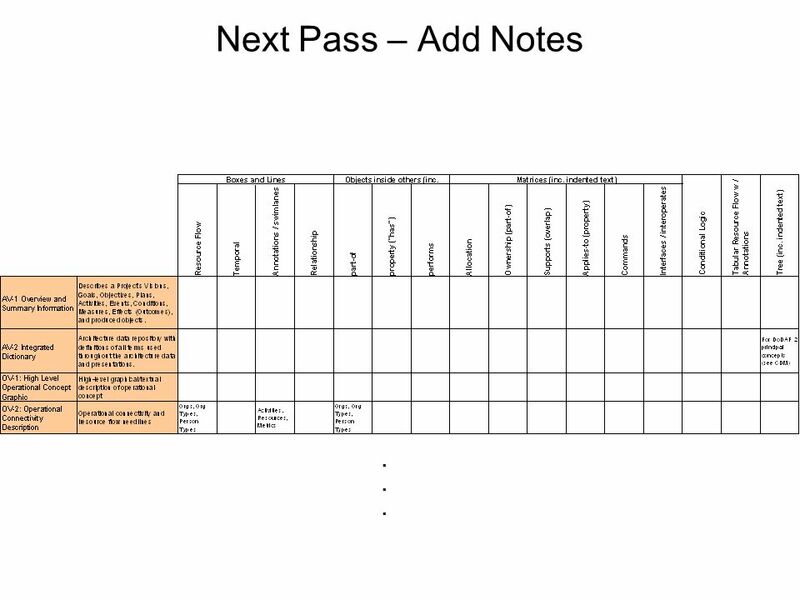 29 Next Pass – Add Notes . One liner: The identification of systems, system items, and their interconnections. Description: composition and interaction of Systems links together the operational and systems architecture models -- a SV-1 may represent the realization of a requirement specified in an OV traceability & reification there may be many alternative SV models that could realize the operational requirement. – what does this have with the model description? True of anything in an “As-Is” architecture, the OV-2 may simply be a simplified, logical representation of the SV-1 to allow communication of key Resource Flows to non-technical stakeholders – again T&R – part of any xV A System Resource Flow is a simplified representation of a pathway or network pattern, Note that Resource Flows between Systems may be further specified in detail in SV-2 (why wouldn’t you just do a more detailed SV-1?, SV-2 show’s comms means?) Systems Resource Flow Description and SV-6 Systems Resource Flow Matrix (not just “more detail”, adds details about the resources that flow and measures and rules associated with that resource’s flow). Sub-System assemblies SV-1 may also identify the Physical Assets (e.g., Platforms) at which Resources are deployed optionally overlay Operational Activities and Locations In many cases, an operational activity and locations depicted in an OV-2 may well be the logical representation of the resource that is shown in SV-1. The SV-1 is used in two complementary ways: Describe the Resource Flows exchanged between resources in the architecture. Describe a solution, or solution option, in terms of the components of capability and their physical integration on platforms and other facilities. SV-1 Issues The SV-1 addresses the composition and interaction of Systems. For DoDAF V2.0, the SV-1 incorporates the human elements as types of Performers - Organizations and Personnel Types. Resources are defined in Section 2.2.1 The SV-1 links together the operational and systems architecture models by depicting how Resources are structured and interact to realize the logical architecture specified in an OV-2 Operational Resource Flow Description. A SV-1 may represent the realization of a requirement specified in an OV-2 Operational Resource Flow Description (i.e., in a “To-Be” architecture), and so there may be many alternative SV models that could realize the operational requirement. Alternatively, in an “As-Is” architecture, the OV-2 Operational Resource Flow Description may simply be a simplified, logical representation of the SV-1 to allow communication of key Resource Flows to non-technical stakeholders. A System Resource Flow is a simplified representation of a pathway or network pattern, usually depicted graphically as a connector (i.e., a line with possible amplifying information). The SV-1 depicts all System Resource Flows between Systems that are of interest. Note that Resource Flows between Systems may be further specified in detail in SV-2 Systems Resource Flow Description and SV-6 Systems Resource Flow Matrix. Sub-System assemblies may be identified in SV-1 to any level (i.e., depth) of decomposition the architect sees fit. SV-1 may also identify the Physical Assets (e.g., Platforms) at which Resources are deployed, and optionally overlay Operational Activities and Locations that utilize those Resources. In many cases, an operational activity and locations depicted in an OV-2 Operational Resource Flow Description model may well be the logical representation of the resource that is shown in SV-1. The intended usage of the SV-1 includes: Definition of System concepts. Definition of System options. System Resource Flow requirements capture. Capability integration planning. System integration management. Operational planning (capability and performer definition). The SV-1 is used in two complementary ways: Describe the Resource Flows exchanged between resources in the architecture. Describe a solution, or solution option, in terms of the components of capability and their physical integration on platforms and other facilities. Detailed Description: A SV-1 can be used simply to depict Systems and sub-systems and identify the Resource Flows between them. The real benefit of a SV-1 is its ability to show the human aspects of an architecture, and how these interact with Systems. 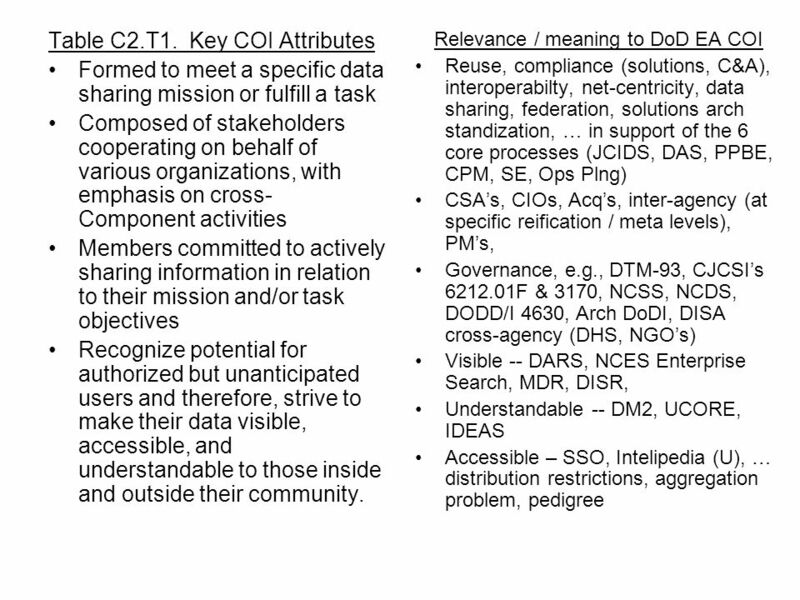 In addition, DoDAF has the concept of Capability and Performers (see Capability Meta-model group in Section 2) which is used to gather together systems, assets and people into a configuration, which can meet a specific capability. 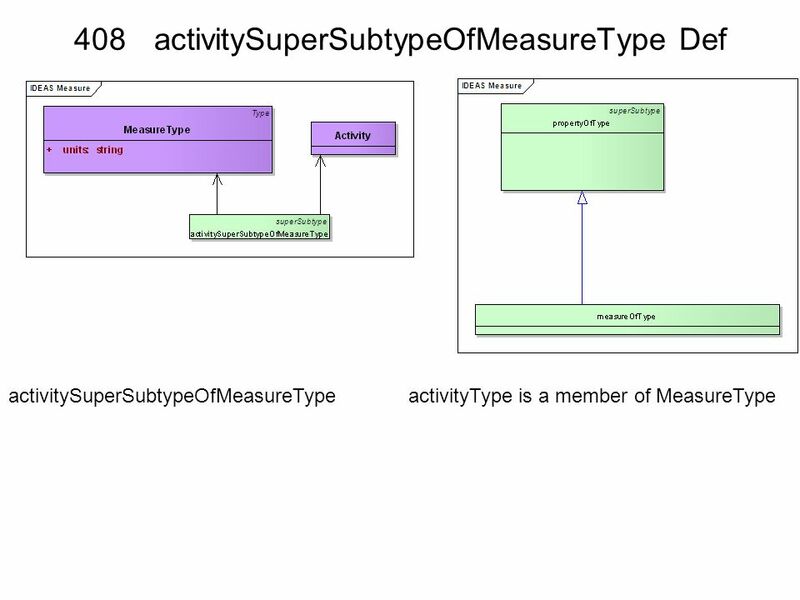 A primary purpose of a SV-1 DoDAF-described Model is to show resource structure, i.e., identify the primary sub-systems, performer and activities (functions) and their interactions. SV-1 contributes to user understanding of the structural characteristics of the capability. The physical resources contributing to a capability are either an organizational resource or a physical asset, i.e., a system cannot contribute alone (it must be hosted on a physical asset used by an organizational resource of both). Organizational aspects can now be shown on SV-1 (e.g., who uses System). Resource structures may be identified in SV-1 to any level (i.e., depth) of decomposition the architect sees fit. DoDAF does not specifically use terms such as, sub-System and component as these terms often denote a position relative to a structural hierarchy. Any System may combine hardware and software or these can be treated as separate (sub) Systems. 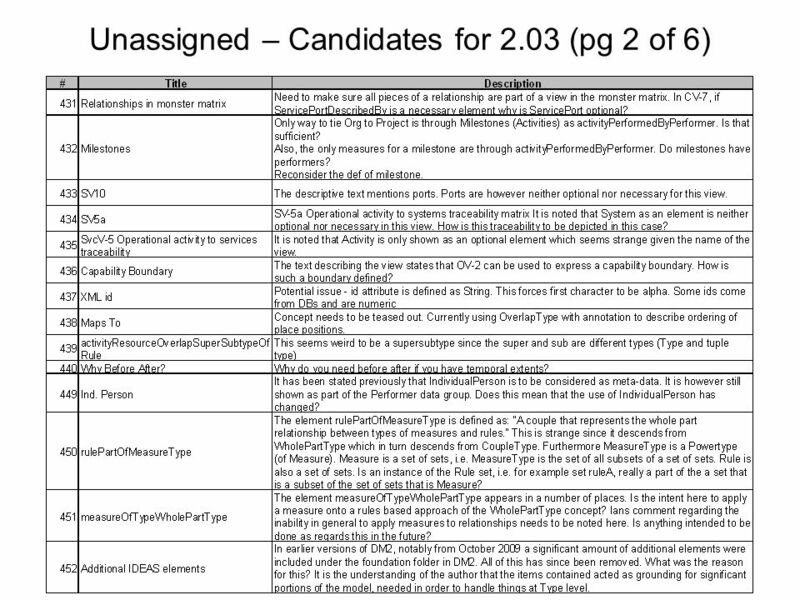 DoDAF V2.0 includes human factors (as Personnel Types and a type of Performer). Should an architect wish to describe a System which has human elements, then Systems, Personnel Types and Performers should be used to wrap the human and system elements together. A SV-1 can optionally be annotated with Operational Activities, Capabilities, and/or Locations originally specified in OV-2 Operational Resource Flow Description model. In this way, traceability can be established from the logical OV structure to the physical System Viewpoint structure. If possible, a SV-1 shows Systems, Physical Assets and System interfaces for the entire Architectural Description on the same diagram. If a single SV-1 is not possible, the resource of interest should be decomposed into multiple SV-1 models. 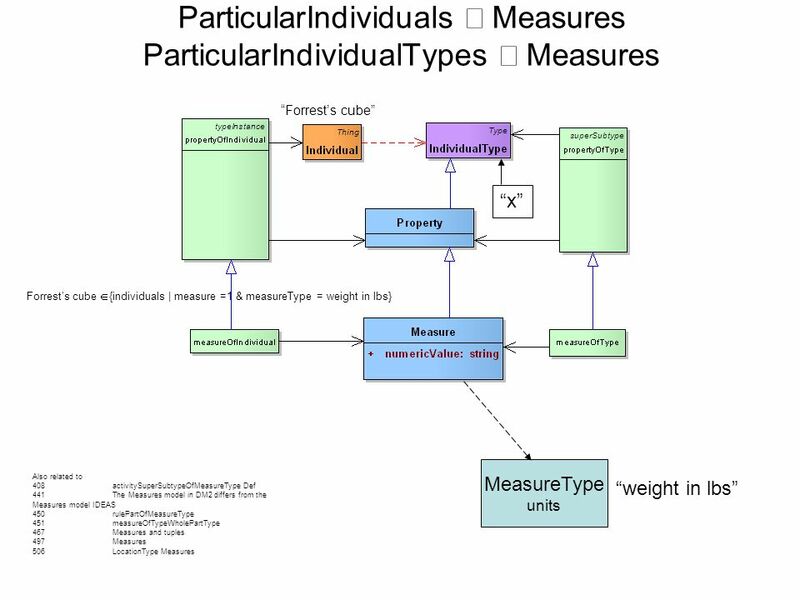 Functions (Activities): Some Resources can carry out System Functions (Activities) as described in SV-4 Systems Functionality Description model and these functions can optionally be overlaid on a SV-1. In a sense, the SV-1 and the SV-4 Systems Functionality Description model provide complementary representations (structure and function). Either could be modeled first, but usually an iterative approach is used to model these together gradually building up the level of detail in the System description. Note that the same type (class) of resource may be used in different contexts in a given SV-1. For this reason, the tracing of functions to resources is specified in context of their usage (see DM2 for details). Resource Flows in SV-1: In addition to depicting Systems (Performers) and their structure, the SV-1 addresses Resource Flows. A Resource Flow, as depicted in SV-1, is an indicator that resources pass between one System and the other. In the case of Systems, this can be expanded into further detail in SV-2 Systems Resource Flow Description. Interactions are only possible between Systems and Services. System Resource Flows provide a specification for how the operational Resource Flows Exchanges specified in Needlines (in the OV-2 Operational Resource Flow Description model) are realized with Systems. A single Needline shown in the OV-2 Operational Resource Flow Description model may translate into multiple System Resource Flows. The actual implementation of a System Resource Flow may take more than one form (e.g., multiple physical links). 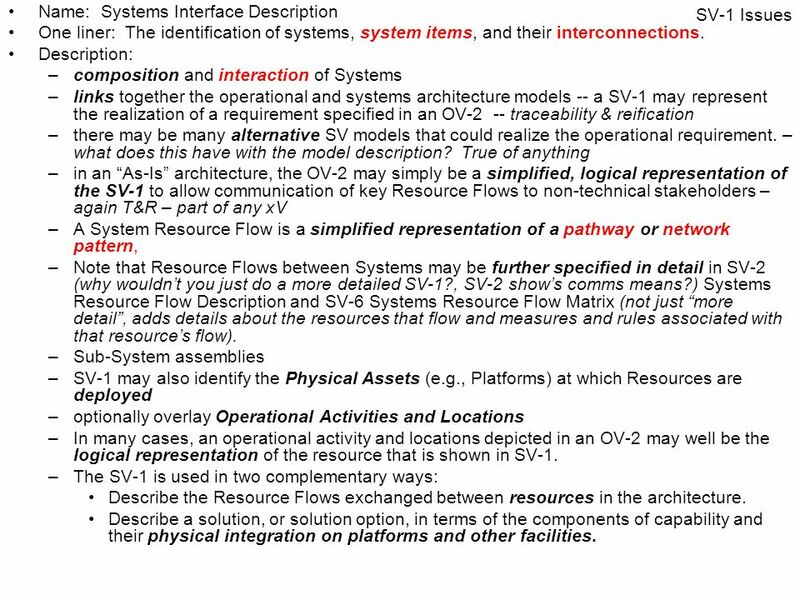 Details of the physical pathways or network patterns that implement the interfaces are documented in SV-2 Systems Resource Flow Description. System Resource Flows are summarized in a SV-3b Systems-Systems Matrix. The functions performed by the resources are specified in a SV-4 System Functionality Description, but may optionally be overlaid on the Resources in a SV-1. An Operational Viewpoint (OV) suite may specify a set of requirements – either as a specific operational plan, or a scenario for procurement. As OV-2 Operational Resource Flow Description, OV-5a Operational Activity Decomposition Tree, and OV-5b Operational Activity Model specify the logical structure and behavior, SV-1 and SV-4 Systems Functionality Description specify the physical structure and behavior (to the level of detail required by the architectural stakeholders). This separation of logical and physical presents an opportunity for carrying out architectural trade studies based on the architectural content in the DoDAF-described Models. The structural and behavioral models in the OVs and SVs allow architects and stakeholders to quickly ascertain which functions are carried out by humans and which by Systems for each alternative specification and so carry out trade analysis based on risk, cost, reliability, etc. Either could be modeled first, but usually an iterative approach is used to model these together gradually building up the level of detail in the System description. Note that the same type (class) of resource may be used in different contexts in a given SV-1. For this reason, the tracing of functions to resources is specified in context of their usage (see DM2 for details). addresses Resource Flows. 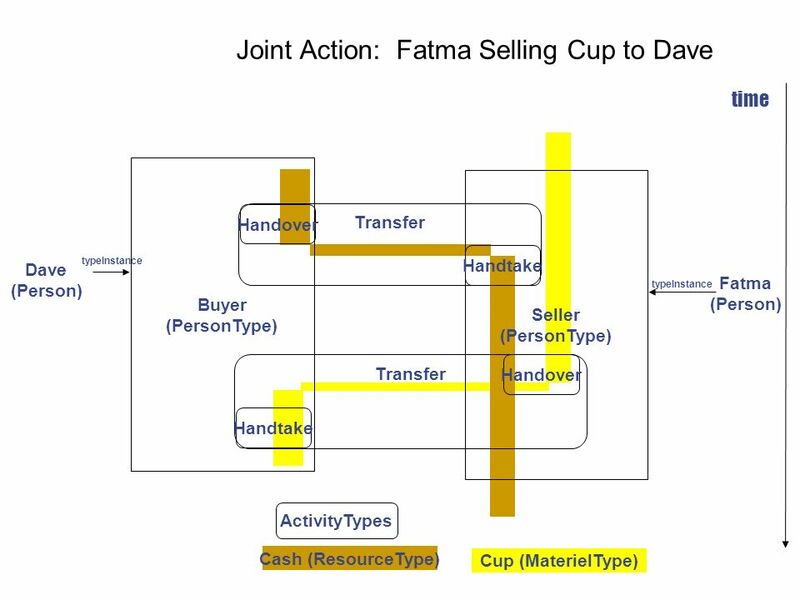 A Resource Flow, as depicted in SV-1, is an indicator that resources pass between one System and the other. 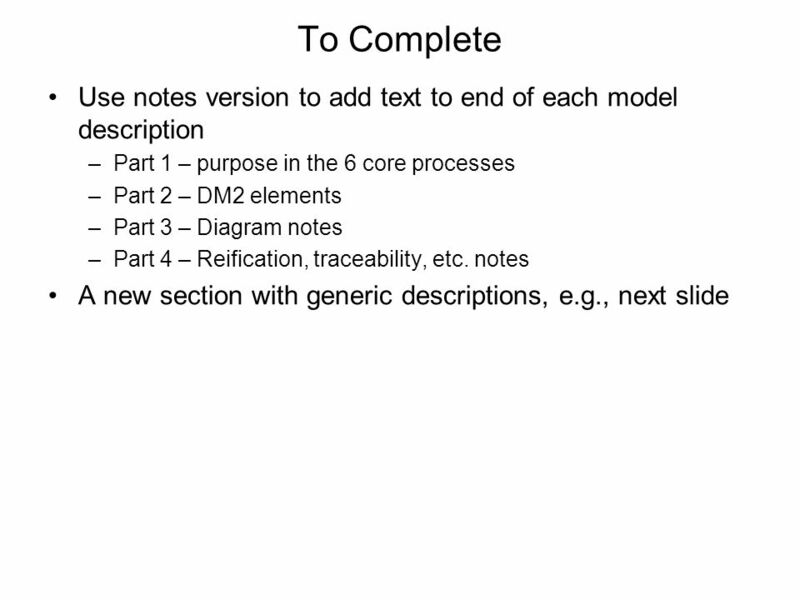 In the case of Systems, this can be expanded into further detail in SV-2 Systems Resource Flow Description. Interactions are only possible between Systems and Services. 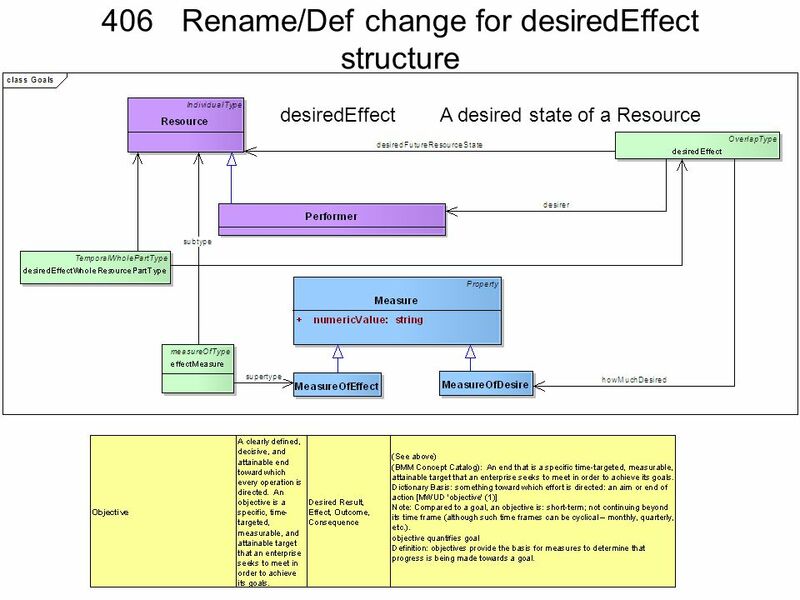 System Resource Flows provide a specification for how the operational Resource Flows Exchanges specified in Needlines are realized with Systems. A single Needline shown in the OV-2 Operational Resource Flow Description model may translate into multiple System Resource Flows. The actual implementation of a System Resource Flow may take more than one form (e.g., multiple physical links). 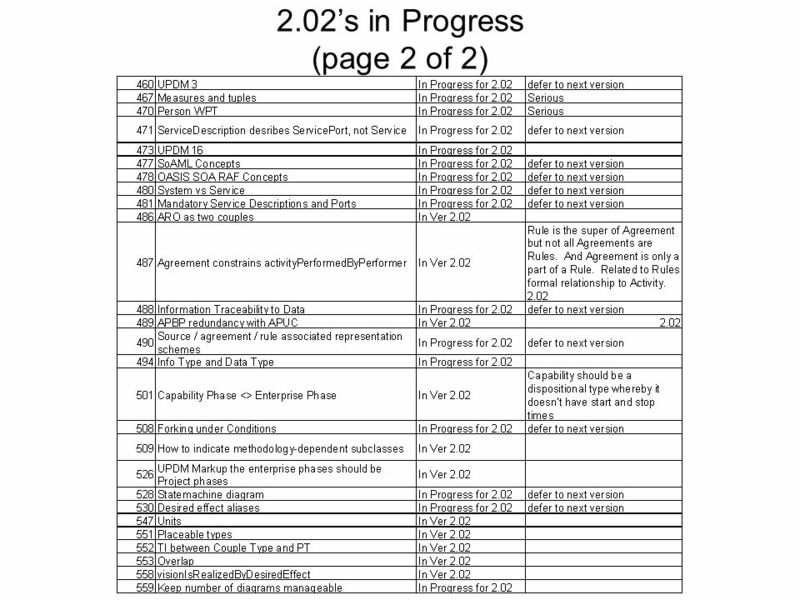 Details of the physical pathways or network patterns that implement the interfaces are documented in SV-2. System Resource Flows are summarized in a SV-3b. The functions performed by the resources are specified in a SV-4, but may optionally be overlaid on the Resources in a SV-1. An Operational Viewpoint (OV) suite may specify a set of requirements – either as a specific operational plan, or a scenario for procurement. As OV-2 and OV-5 specify the logical structure and behavior, SV-1 and SV-4 specify the physical structure and behavior separation of logical and physical presents The structural and behavioral models in the OVs and SVs allow architects and stakeholders to quickly ascertain which functions are carried out by humans and which by Systems for each alternative specification and so carry out trade analysis based on risk, cost, reliability, etc. SV-1 Issues The SV-1 addresses the composition and interaction of Systems. 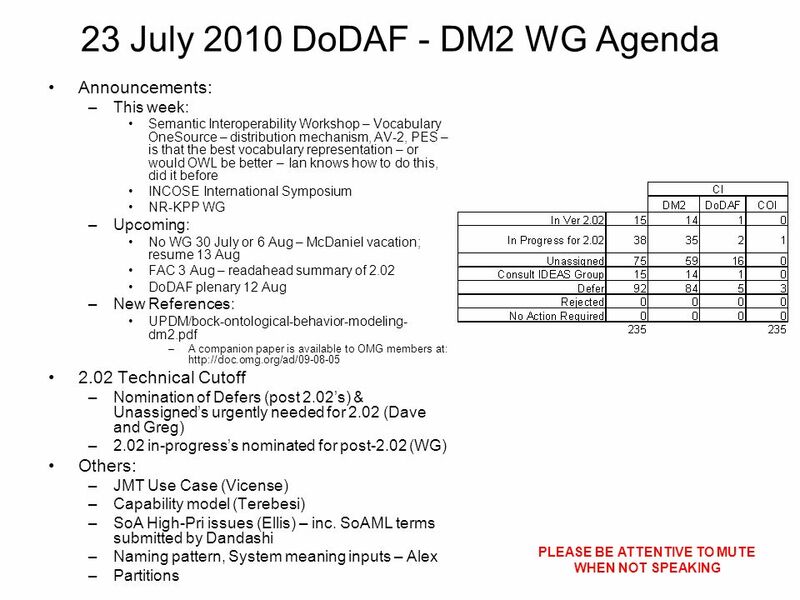 For DoDAF V2.0, the SV-1 incorporates the human elements as types of Performers - Organizations and Personnel Types. 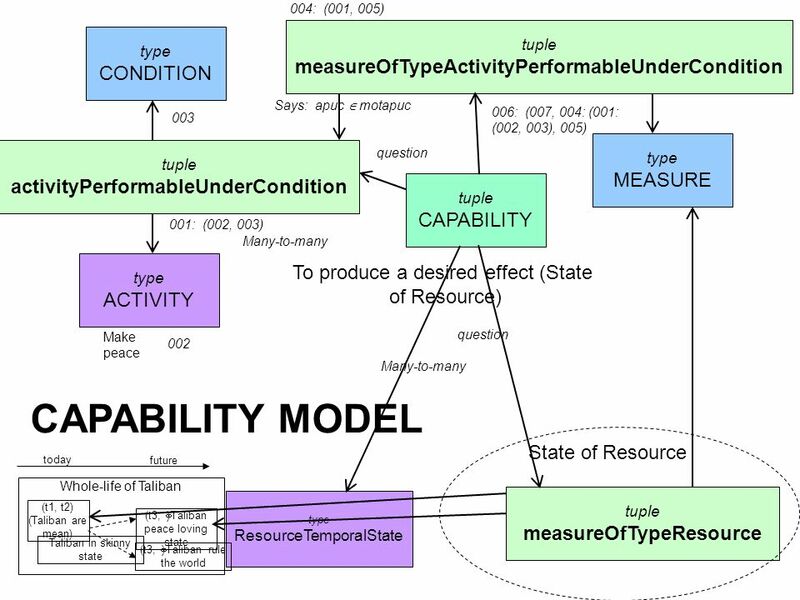 Resources are defined in Section 2.2.1 The SV-1 links together the operational and systems architecture models by depicting how Resources are structured and interact to realize the logical architecture specified in an OV-2 Operational Resource Flow Description. A SV-1 may represent the realization of a requirement specified in an OV-2 Operational Resource Flow Description (i.e., in a “To-Be” architecture), and so there may be many alternative SV models that could realize the operational requirement. 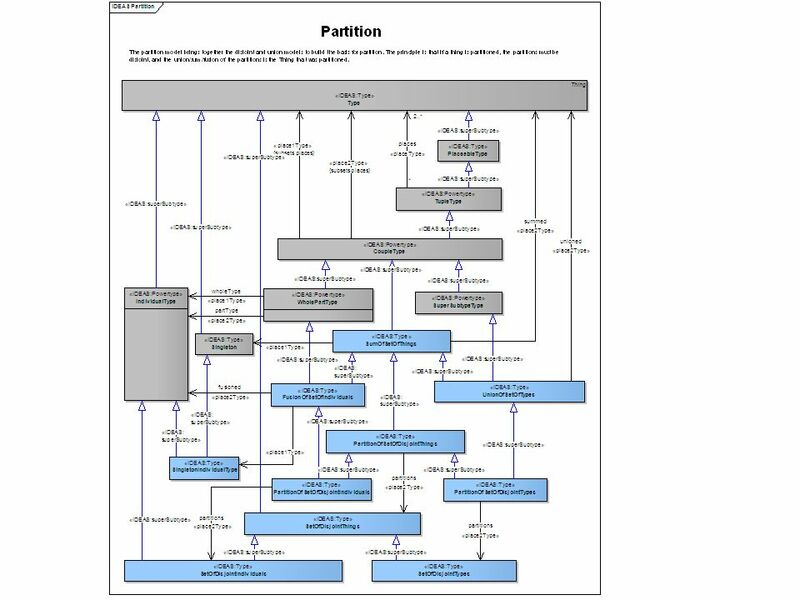 Alternatively, in an “As-Is” architecture, the OV-2 Operational Resource Flow Description may simply be a simplified, logical representation of the SV-1 to allow communication of key Resource Flows to non-technical stakeholders. A System Resource Flow is a simplified representation of a pathway or network pattern, usually depicted graphically as a connector (i.e., a line with possible amplifying information). The SV-1 depicts all System Resource Flows between Systems that are of interest. Note that Resource Flows between Systems may be further specified in detail in SV-2 Systems Resource Flow Description and SV-6 Systems Resource Flow Matrix. Sub-System assemblies may be identified in SV-1 to any level (i.e., depth) of decomposition the architect sees fit. SV-1 may also identify the Physical Assets (e.g., Platforms) at which Resources are deployed, and optionally overlay Operational Activities and Locations that utilize those Resources. In many cases, an operational activity and locations depicted in an OV-2 Operational Resource Flow Description model may well be the logical representation of the resource that is shown in SV-1. The intended usage of the SV-1 includes: Definition of System concepts. Definition of System options. System Resource Flow requirements capture. Capability integration planning. System integration management. Operational planning (capability and performer definition). The SV-1 is used in two complementary ways: Describe the Resource Flows exchanged between resources in the architecture. Describe a solution, or solution option, in terms of the components of capability and their physical integration on platforms and other facilities. Detailed Description: A SV-1 can be used simply to depict Systems and sub-systems and identify the Resource Flows between them. The real benefit of a SV-1 is its ability to show the human aspects of an architecture, and how these interact with Systems. 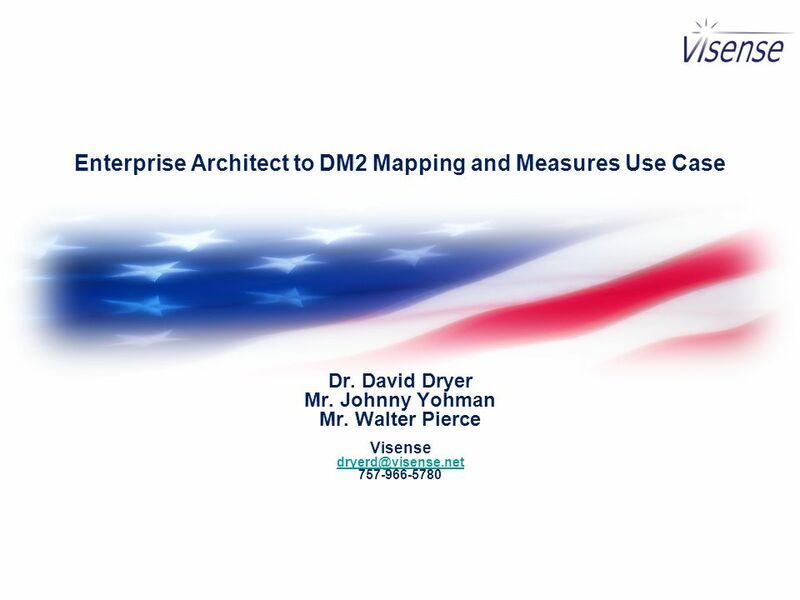 In addition, DoDAF has the concept of Capability and Performers (see Capability Meta-model group in Section 2) which is used to gather together systems, assets and people into a configuration, which can meet a specific capability. A primary purpose of a SV-1 DoDAF-described Model is to show resource structure, i.e., identify the primary sub-systems, performer and activities (functions) and their interactions. SV-1 contributes to user understanding of the structural characteristics of the capability. The physical resources contributing to a capability are either an organizational resource or a physical asset, i.e., a system cannot contribute alone (it must be hosted on a physical asset used by an organizational resource of both). Organizational aspects can now be shown on SV-1 (e.g., who uses System). Resource structures may be identified in SV-1 to any level (i.e., depth) of decomposition the architect sees fit. 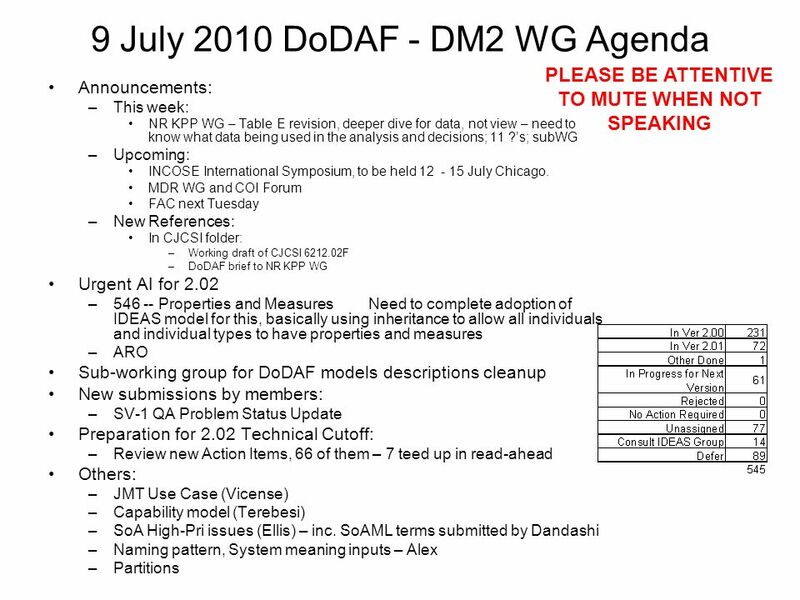 DoDAF does not specifically use terms such as, sub-System and component as these terms often denote a position relative to a structural hierarchy. Any System may combine hardware and software or these can be treated as separate (sub) Systems. 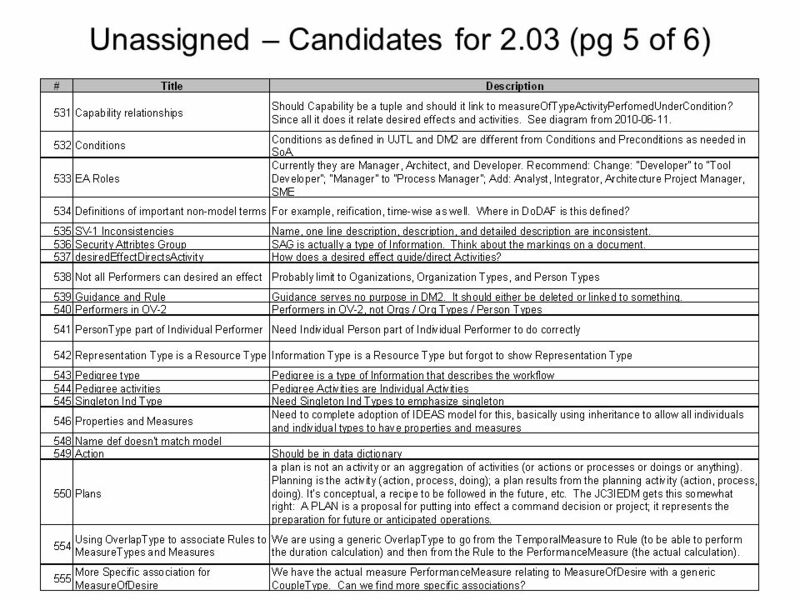 DoDAF V2.0 includes human factors (as Personnel Types and a type of Performer). Should an architect wish to describe a System which has human elements, then Systems, Personnel Types and Performers should be used to wrap the human and system elements together. A SV-1 can optionally be annotated with Operational Activities, Capabilities, and/or Locations originally specified in OV-2 Operational Resource Flow Description model. In this way, traceability can be established from the logical OV structure to the physical System Viewpoint structure. If possible, a SV-1 shows Systems, Physical Assets and System interfaces for the entire Architectural Description on the same diagram. 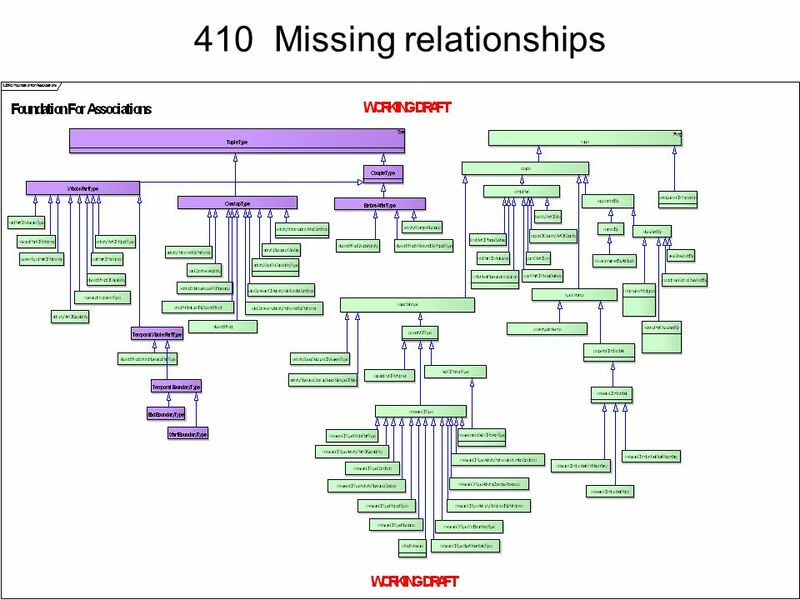 If a single SV-1 is not possible, the resource of interest should be decomposed into multiple SV-1 models. Functions (Activities): Some Resources can carry out System Functions (Activities) as described in SV-4 Systems Functionality Description model and these functions can optionally be overlaid on a SV-1. In a sense, the SV-1 and the SV-4 Systems Functionality Description model provide complementary representations (structure and function). Either could be modeled first, but usually an iterative approach is used to model these together gradually building up the level of detail in the System description. Note that the same type (class) of resource may be used in different contexts in a given SV-1. For this reason, the tracing of functions to resources is specified in context of their usage (see DM2 for details). Resource Flows in SV-1: In addition to depicting Systems (Performers) and their structure, the SV-1 addresses Resource Flows. A Resource Flow, as depicted in SV-1, is an indicator that resources pass between one System and the other. In the case of Systems, this can be expanded into further detail in SV-2 Systems Resource Flow Description. Interactions are only possible between Systems and Services. System Resource Flows provide a specification for how the operational Resource Flows Exchanges specified in Needlines (in the OV-2 Operational Resource Flow Description model) are realized with Systems. A single Needline shown in the OV-2 Operational Resource Flow Description model may translate into multiple System Resource Flows. The actual implementation of a System Resource Flow may take more than one form (e.g., multiple physical links). 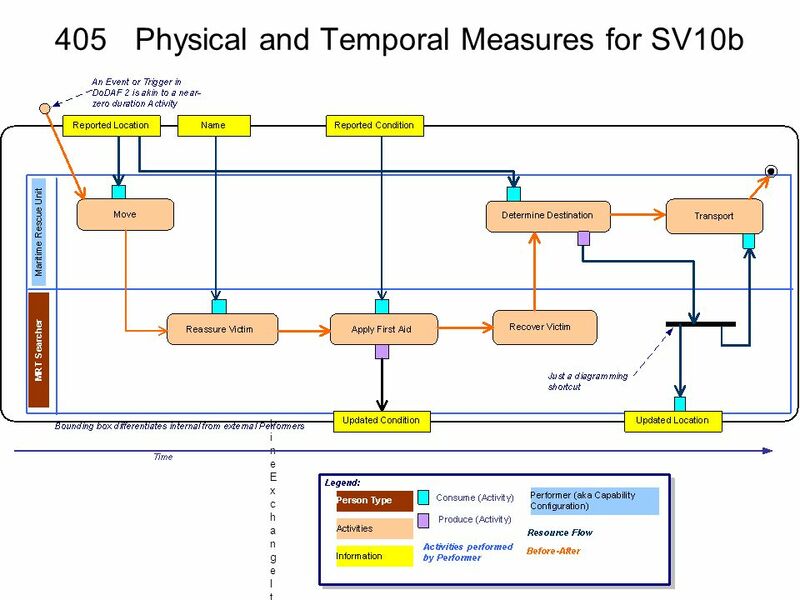 Details of the physical pathways or network patterns that implement the interfaces are documented in SV-2 Systems Resource Flow Description. System Resource Flows are summarized in a SV-3b Systems-Systems Matrix. The functions performed by the resources are specified in a SV-4 System Functionality Description, but may optionally be overlaid on the Resources in a SV-1. An Operational Viewpoint (OV) suite may specify a set of requirements – either as a specific operational plan, or a scenario for procurement. As OV-2 Operational Resource Flow Description, OV-5a Operational Activity Decomposition Tree, and OV-5b Operational Activity Model specify the logical structure and behavior, SV-1 and SV-4 Systems Functionality Description specify the physical structure and behavior (to the level of detail required by the architectural stakeholders). This separation of logical and physical presents an opportunity for carrying out architectural trade studies based on the architectural content in the DoDAF-described Models. 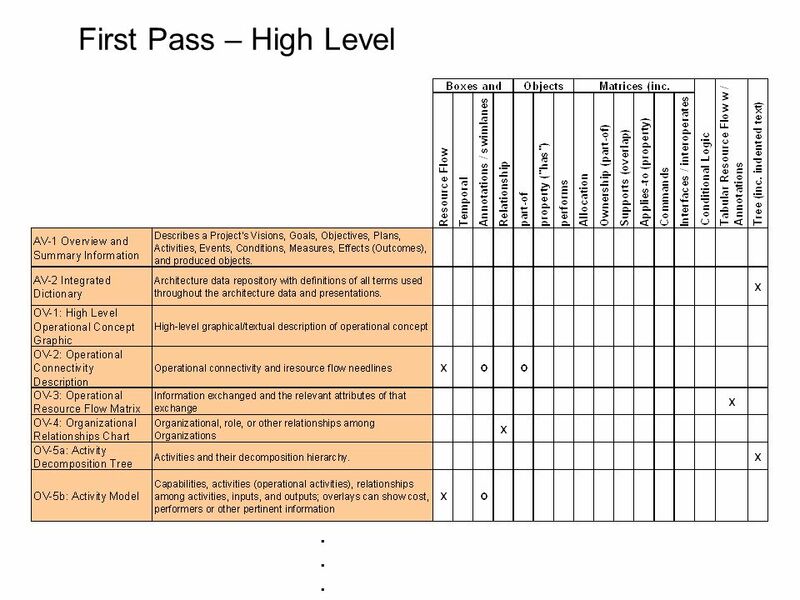 The structural and behavioral models in the OVs and SVs allow architects and stakeholders to quickly ascertain which functions are carried out by humans and which by Systems for each alternative specification and so carry out trade analysis based on risk, cost, reliability, etc. Detailed Description: Systems and sub-systems The real benefit of a SV-1 is its ability to show the human aspects of an architecture, and how these interact with Systems. Capability and Performers which is used to gather together systems, assets and people into a configuration, which can meet a specific capability. A primary purpose of a SV-1 DoDAF-described Model is to show resource structure, i.e., identify the primary sub-systems, performer and activities (functions) and their interactions. SV-1 contributes to user understanding of the structural characteristics of the capability. The physical resources contributing to a capability are either an organizational resource or a physical asset, i.e., a system cannot contribute alone (it must be hosted on a physical asset used by an organizational resource of both). Organizational aspects can now be shown on SV-1 (e.g., who uses System). 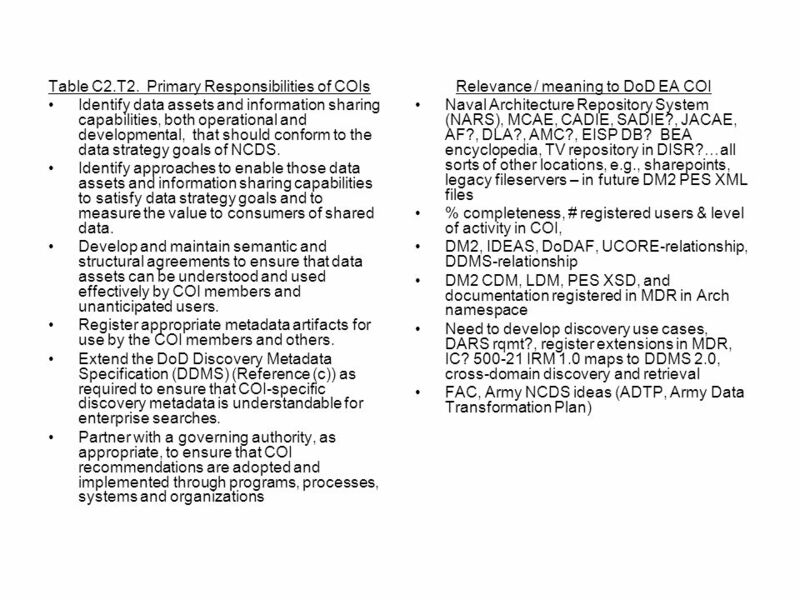 Resource structures may be identified in SV-1 DoDAF does not specifically use terms such as, sub-System and component as these terms often denote a position relative to a structural hierarchy. Any System may combine hardware and software or these can be treated as separate (sub) Systems. 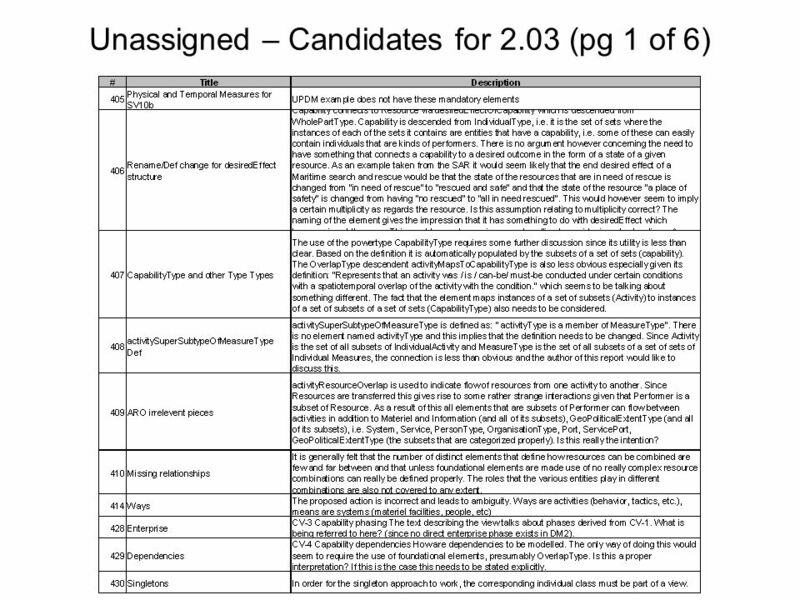 DoDAF V2.0 includes human factors (as Personnel Types and a type of Performer). Should an architect wish to describe a System which has human elements, then Systems, Personnel Types and Performers should be used to wrap the human and system elements together. optionally be annotated with Operational Activities, Capabilities, and/or Locations originally specified in OV-2 shows Systems, Physical Assets and System interfaces for the entire Architectural Description on the same diagram. Some Resources can carry out System Functions (Activities) as described in SV-4 these functions can optionally be overlaid on a SV-1. the SV-1 and the SV-4 model provide complementary representations (structure and function). SV-1 Issues The SV-1 addresses the composition and interaction of Systems. 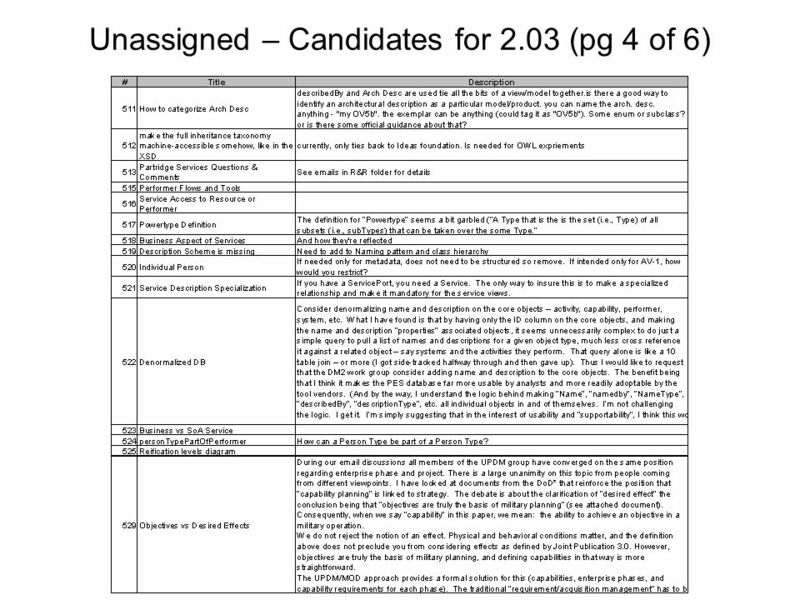 For DoDAF V2.0, the SV-1 incorporates the human elements as types of Performers - Organizations and Personnel Types. 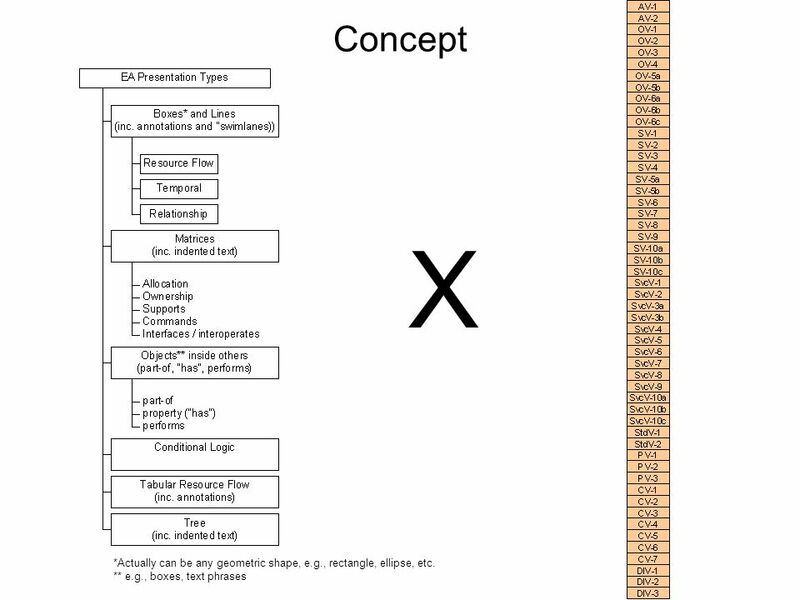 Resources are defined in Section 2.2.1 The SV-1 links together the operational and systems architecture models by depicting how Resources are structured and interact to realize the logical architecture specified in an OV-2 Operational Resource Flow Description. A SV-1 may represent the realization of a requirement specified in an OV-2 Operational Resource Flow Description (i.e., in a “To-Be” architecture), and so there may be many alternative SV models that could realize the operational requirement. Alternatively, in an “As-Is” architecture, the OV-2 Operational Resource Flow Description may simply be a simplified, logical representation of the SV-1 to allow communication of key Resource Flows to non-technical stakeholders. A System Resource Flow is a simplified representation of a pathway or network pattern, usually depicted graphically as a connector (i.e., a line with possible amplifying information). The SV-1 depicts all System Resource Flows between Systems that are of interest. Note that Resource Flows between Systems may be further specified in detail in SV-2 Systems Resource Flow Description and SV-6 Systems Resource Flow Matrix. Sub-System assemblies may be identified in SV-1 to any level (i.e., depth) of decomposition the architect sees fit. SV-1 may also identify the Physical Assets (e.g., Platforms) at which Resources are deployed, and optionally overlay Operational Activities and Locations that utilize those Resources. In many cases, an operational activity and locations depicted in an OV-2 Operational Resource Flow Description model may well be the logical representation of the resource that is shown in SV-1. The intended usage of the SV-1 includes: Definition of System concepts. Definition of System options. System Resource Flow requirements capture. Capability integration planning. System integration management. Operational planning (capability and performer definition). The SV-1 is used in two complementary ways: Describe the Resource Flows exchanged between resources in the architecture. Describe a solution, or solution option, in terms of the components of capability and their physical integration on platforms and other facilities. Detailed Description: A SV-1 can be used simply to depict Systems and sub-systems and identify the Resource Flows between them. The real benefit of a SV-1 is its ability to show the human aspects of an architecture, and how these interact with Systems. 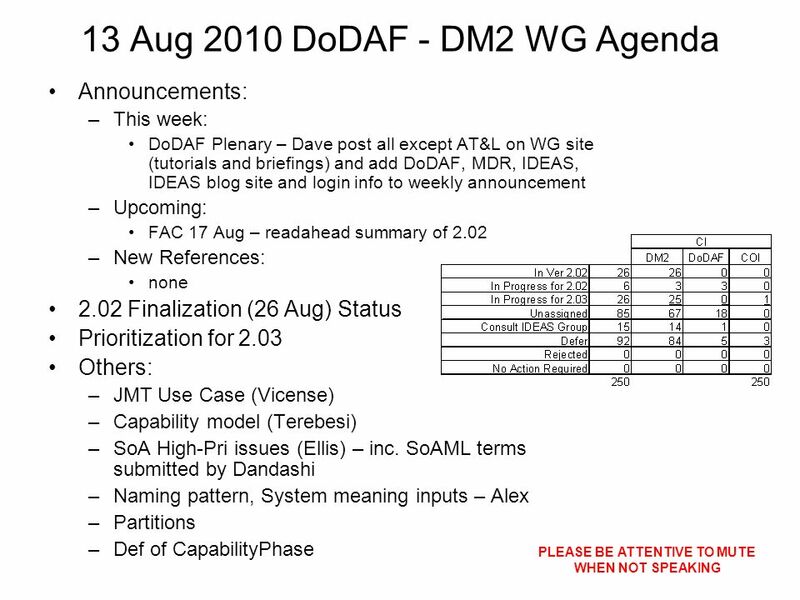 In addition, DoDAF has the concept of Capability and Performers (see Capability Meta-model group in Section 2) which is used to gather together systems, assets and people into a configuration, which can meet a specific capability. A primary purpose of a SV-1 DoDAF-described Model is to show resource structure, i.e., identify the primary sub-systems, performer and activities (functions) and their interactions. SV-1 contributes to user understanding of the structural characteristics of the capability. The physical resources contributing to a capability are either an organizational resource or a physical asset, i.e., a system cannot contribute alone (it must be hosted on a physical asset used by an organizational resource of both). Organizational aspects can now be shown on SV-1 (e.g., who uses System). 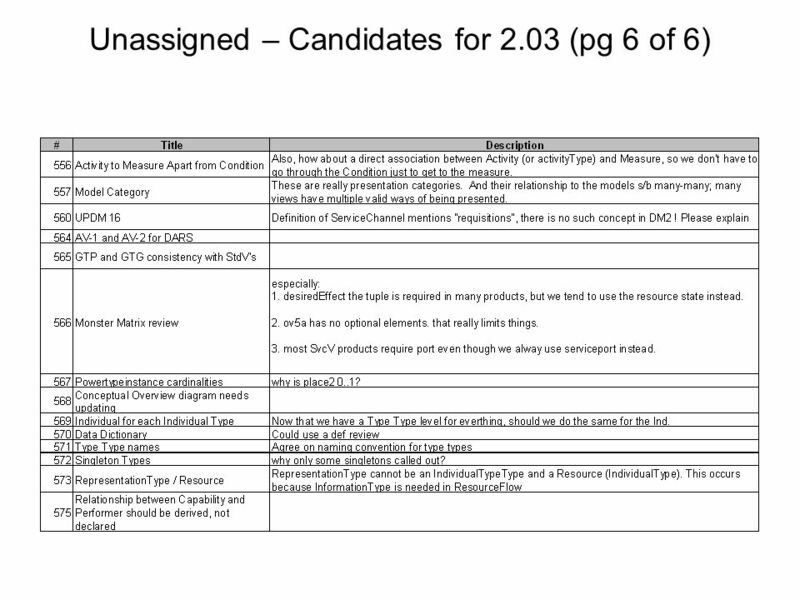 Resource structures may be identified in SV-1 to any level (i.e., depth) of decomposition the architect sees fit. DoDAF does not specifically use terms such as, sub-System and component as these terms often denote a position relative to a structural hierarchy. Any System may combine hardware and software or these can be treated as separate (sub) Systems. 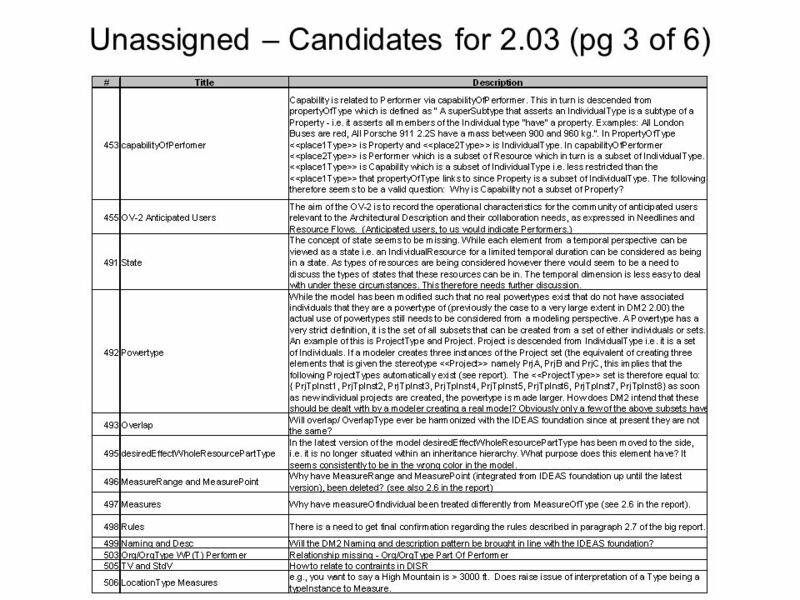 DoDAF V2.0 includes human factors (as Personnel Types and a type of Performer). Should an architect wish to describe a System which has human elements, then Systems, Personnel Types and Performers should be used to wrap the human and system elements together. A SV-1 can optionally be annotated with Operational Activities, Capabilities, and/or Locations originally specified in OV-2 Operational Resource Flow Description model. In this way, traceability can be established from the logical OV structure to the physical System Viewpoint structure. If possible, a SV-1 shows Systems, Physical Assets and System interfaces for the entire Architectural Description on the same diagram. If a single SV-1 is not possible, the resource of interest should be decomposed into multiple SV-1 models. Functions (Activities): Some Resources can carry out System Functions (Activities) as described in SV-4 Systems Functionality Description model and these functions can optionally be overlaid on a SV-1. In a sense, the SV-1 and the SV-4 Systems Functionality Description model provide complementary representations (structure and function). Either could be modeled first, but usually an iterative approach is used to model these together gradually building up the level of detail in the System description. Note that the same type (class) of resource may be used in different contexts in a given SV-1. For this reason, the tracing of functions to resources is specified in context of their usage (see DM2 for details). 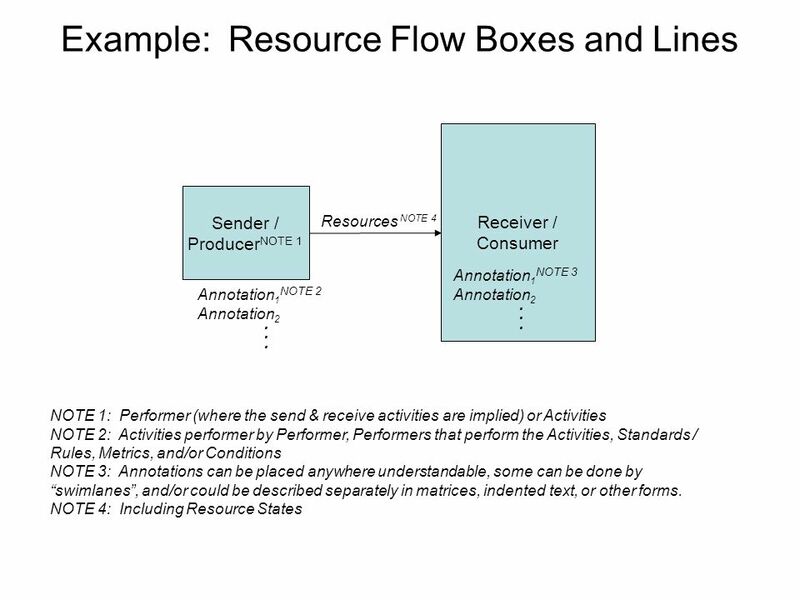 Resource Flows in SV-1: In addition to depicting Systems (Performers) and their structure, the SV-1 addresses Resource Flows. A Resource Flow, as depicted in SV-1, is an indicator that resources pass between one System and the other. 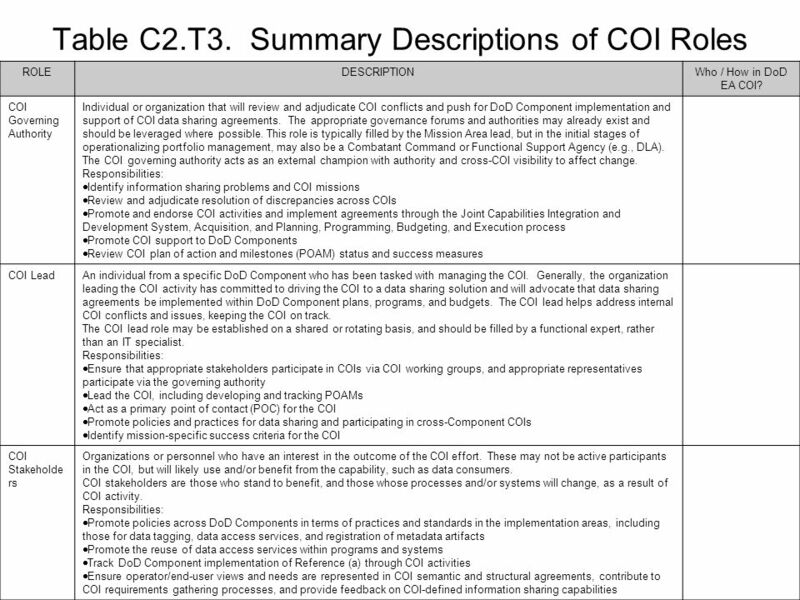 In the case of Systems, this can be expanded into further detail in SV-2 Systems Resource Flow Description. Interactions are only possible between Systems and Services. 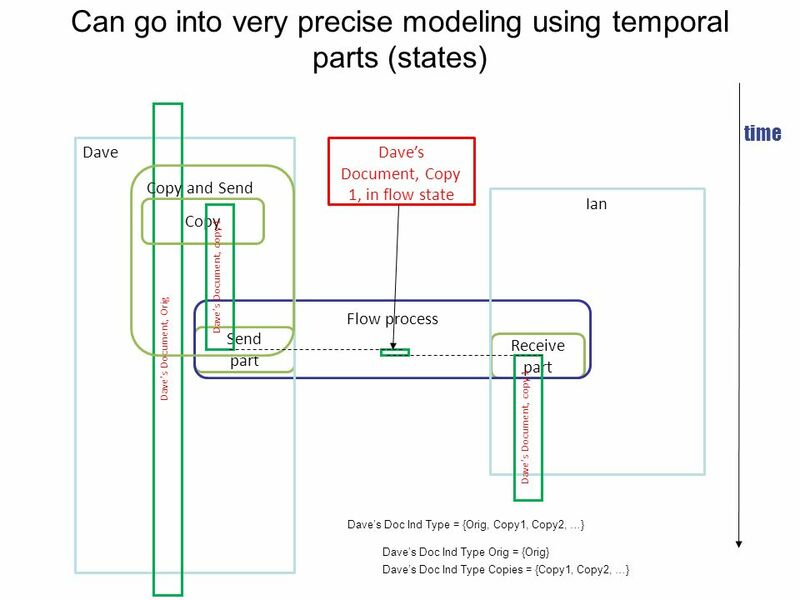 System Resource Flows provide a specification for how the operational Resource Flows Exchanges specified in Needlines (in the OV-2 Operational Resource Flow Description model) are realized with Systems. A single Needline shown in the OV-2 Operational Resource Flow Description model may translate into multiple System Resource Flows. The actual implementation of a System Resource Flow may take more than one form (e.g., multiple physical links). 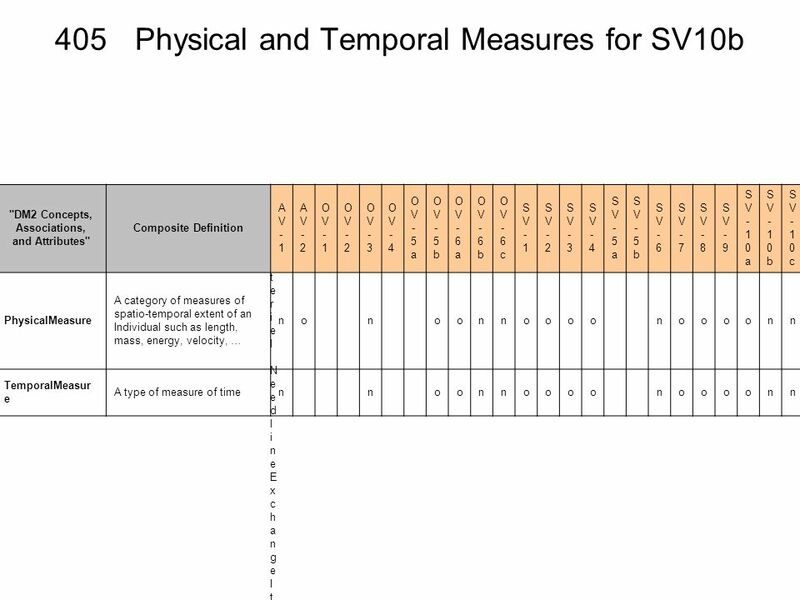 Details of the physical pathways or network patterns that implement the interfaces are documented in SV-2 Systems Resource Flow Description. System Resource Flows are summarized in a SV-3b Systems-Systems Matrix. The functions performed by the resources are specified in a SV-4 System Functionality Description, but may optionally be overlaid on the Resources in a SV-1. An Operational Viewpoint (OV) suite may specify a set of requirements – either as a specific operational plan, or a scenario for procurement. As OV-2 Operational Resource Flow Description, OV-5a Operational Activity Decomposition Tree, and OV-5b Operational Activity Model specify the logical structure and behavior, SV-1 and SV-4 Systems Functionality Description specify the physical structure and behavior (to the level of detail required by the architectural stakeholders). This separation of logical and physical presents an opportunity for carrying out architectural trade studies based on the architectural content in the DoDAF-described Models. The structural and behavioral models in the OVs and SVs allow architects and stakeholders to quickly ascertain which functions are carried out by humans and which by Systems for each alternative specification and so carry out trade analysis based on risk, cost, reliability, etc. Severn distinct pieces are currently described. They should be broken out as follows:: SV-1a Interface Description. 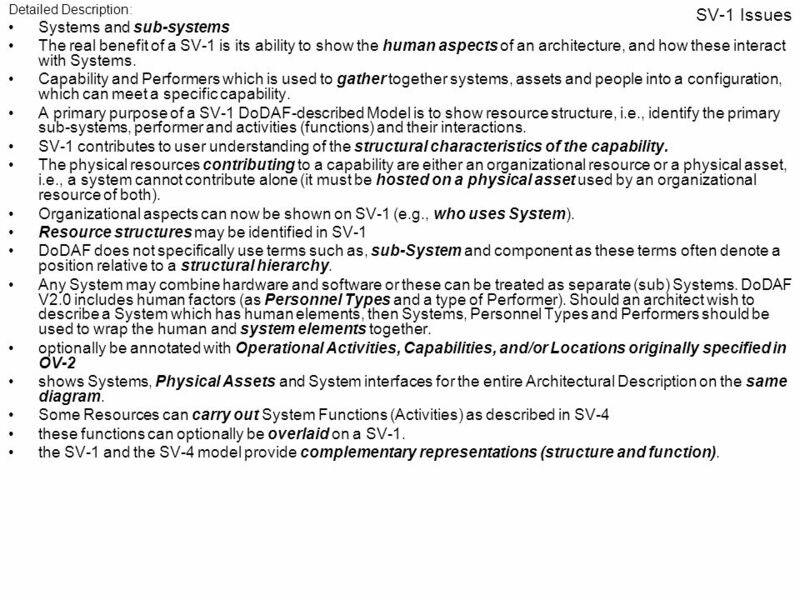 The SV-1a describes interfaces (Resource Flows) between Systems, Services, and/or Person Types. Can have multiple levels of detail. SV-1b Perfomer Configuration. Interface Description plus composition (whole-parts) of Resources involved. If Locations are involved in the configuration, relationships to Resources. SV-1c Functional Allocation. Activities (System Functions) performed by Systems, Services, and Person Types. SV-x Organizational Resources. Shows Resources that are part of (whole-part) Organizations. SV-x Organizational Dependencies. 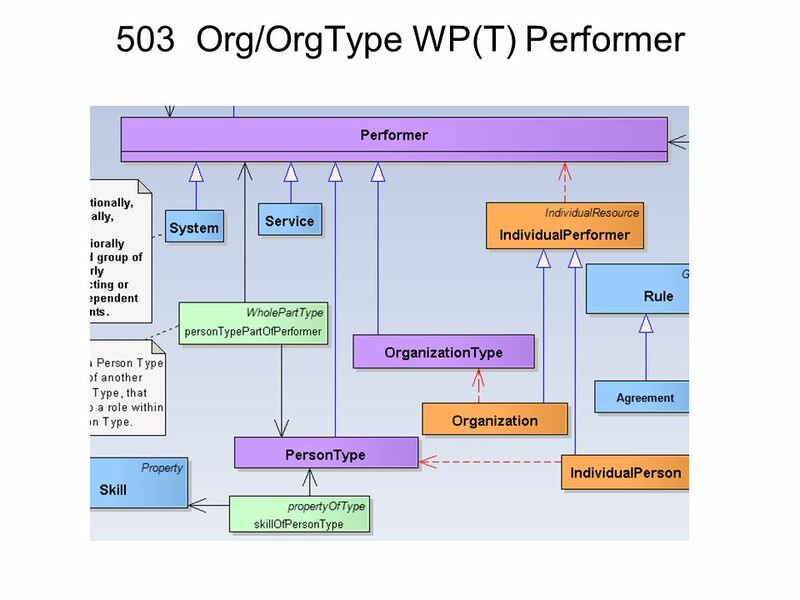 Shows Organizations whose Activities are reified by System Functions (Activities) performed by Performer Configurations. 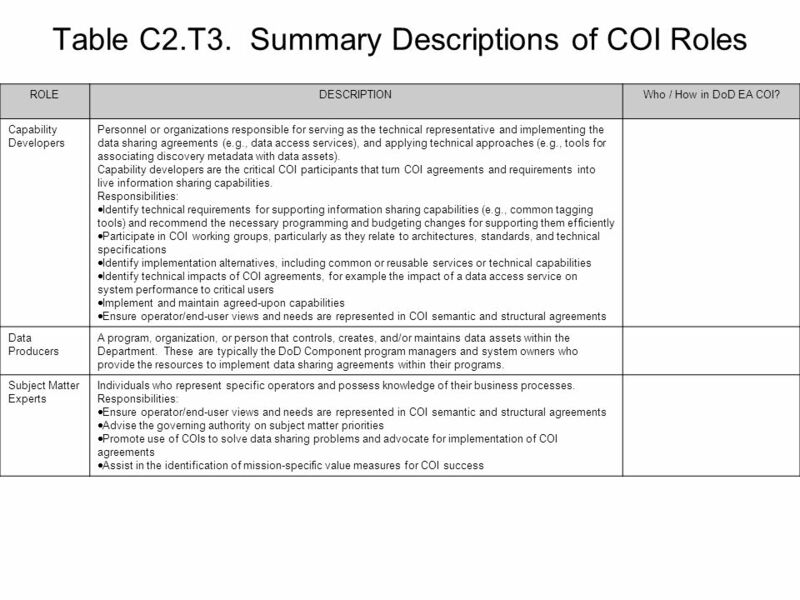 Systems relationship to Capabilities – already in SV-5 All views should show traceability to higher-order reifications, other views that constitute requirements, and/or other non-view requirements. This should be restated for just about every model. The SV-1 addresses the composition and interaction of Systems. 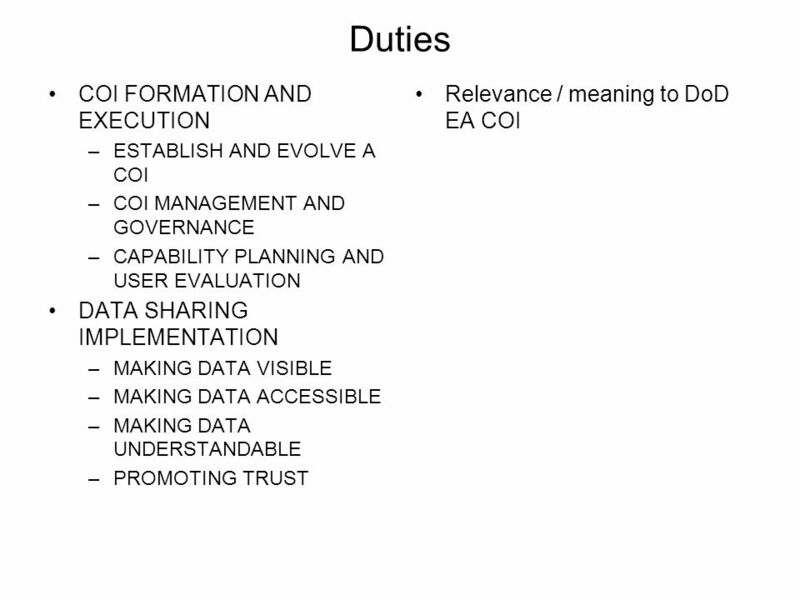 For DoDAF V2.0, the SV-1 incorporates the human elements as types of Performers - Organizations and Personnel Types. Resources are defined in Section 2.2.1 The SV-1 links together the operational and systems architecture models by depicting how Resources are structured and interact to realize the logical architecture specified in an OV-2 Operational Resource Flow Description. A SV-1 may represent the realization of a requirement specified in an OV-2 Operational Resource Flow Description (i.e., in a “To-Be” architecture), and so there may be many alternative SV models that could realize the operational requirement. 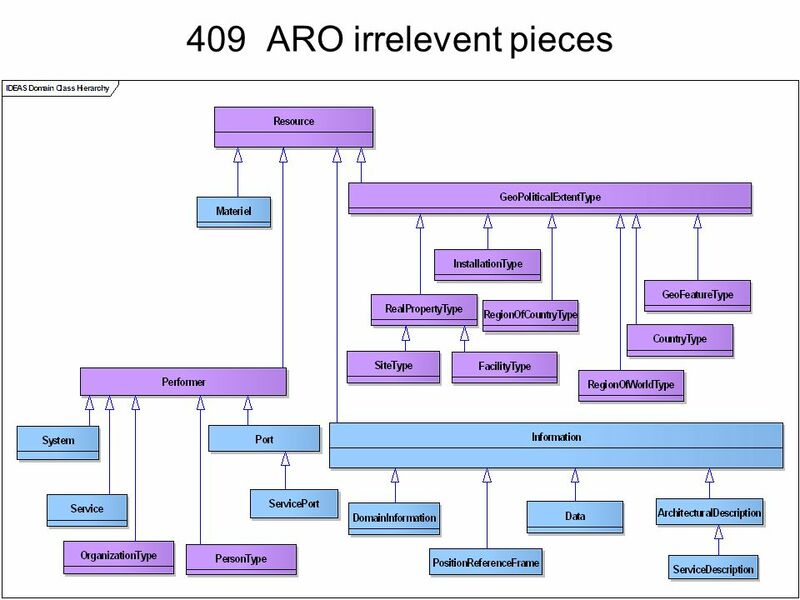 Alternatively, in an “As-Is” architecture, the OV-2 Operational Resource Flow Description may simply be a simplified, logical representation of the SV-1 to allow communication of key Resource Flows to non-technical stakeholders. A System Resource Flow is a simplified representation of a pathway or network pattern, usually depicted graphically as a connector (i.e., a line with possible amplifying information). The SV-1 depicts all System Resource Flows between Systems that are of interest. Note that Resource Flows between Systems may be further specified in detail in SV-2 Systems Resource Flow Description and SV-6 Systems Resource Flow Matrix. Sub-System assemblies may be identified in SV-1 to any level (i.e., depth) of decomposition the architect sees fit. SV-1 may also identify the Physical Assets (e.g., Platforms) at which Resources are deployed, and optionally overlay Operational Activities and Locations that utilize those Resources. In many cases, an operational activity and locations depicted in an OV-2 Operational Resource Flow Description model may well be the logical representation of the resource that is shown in SV-1. The intended usage of the SV-1 includes: Definition of System concepts. Definition of System options. System Resource Flow requirements capture. Capability integration planning. System integration management. Operational planning (capability and performer definition). The SV-1 is used in two complementary ways: Describe the Resource Flows exchanged between resources in the architecture. Describe a solution, or solution option, in terms of the components of capability and their physical integration on platforms and other facilities. Detailed Description: A SV-1 can be used simply to depict Systems and sub-systems and identify the Resource Flows between them. The real benefit of a SV-1 is its ability to show the human aspects of an architecture, and how these interact with Systems. 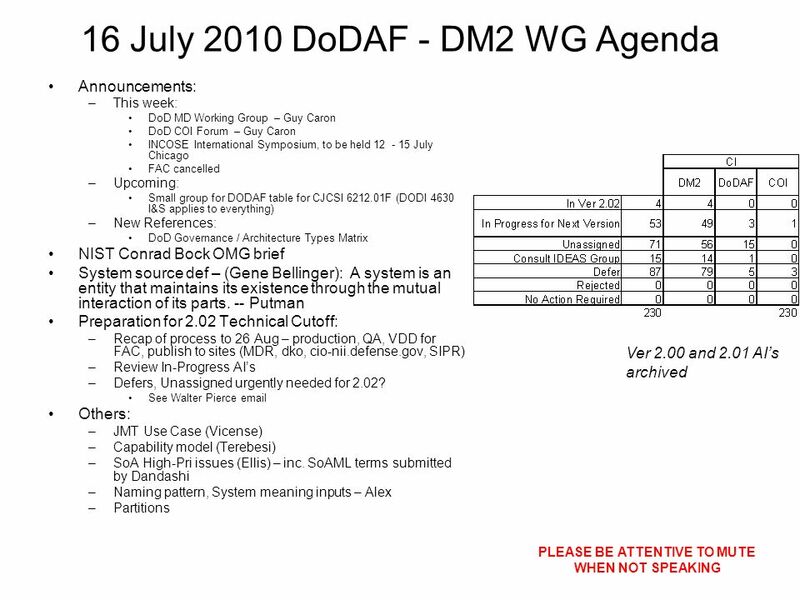 In addition, DoDAF has the concept of Capability and Performers (see Capability Meta-model group in Section 2) which is used to gather together systems, assets and people into a configuration, which can meet a specific capability. A primary purpose of a SV-1 DoDAF-described Model is to show resource structure, i.e., identify the primary sub-systems, performer and activities (functions) and their interactions. SV-1 contributes to user understanding of the structural characteristics of the capability. The physical resources contributing to a capability are either an organizational resource or a physical asset, i.e., a system cannot contribute alone (it must be hosted on a physical asset used by an organizational resource of both). Organizational aspects can now be shown on SV-1 (e.g., who uses System). Resource structures may be identified in SV-1 to any level (i.e., depth) of decomposition the architect sees fit. DoDAF does not specifically use terms such as, sub-System and component as these terms often denote a position relative to a structural hierarchy. Any System may combine hardware and software or these can be treated as separate (sub) Systems. 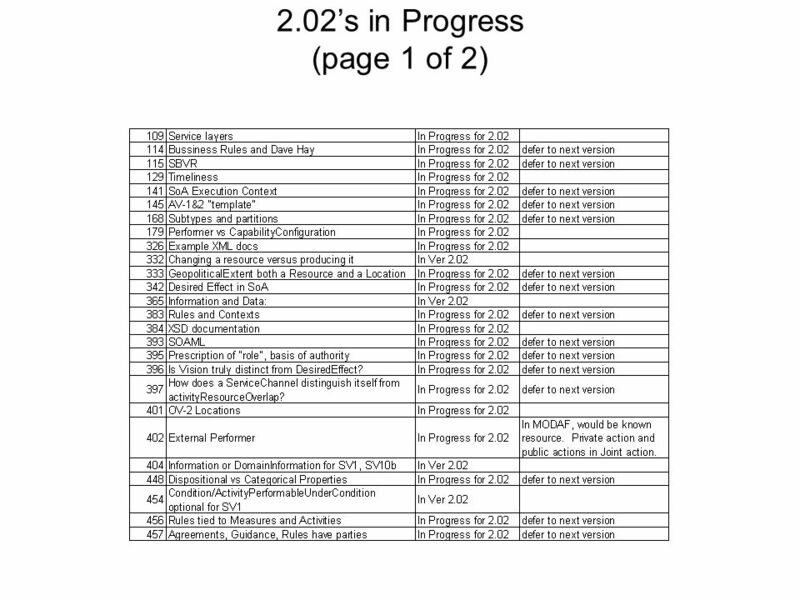 DoDAF V2.0 includes human factors (as Personnel Types and a type of Performer). Should an architect wish to describe a System which has human elements, then Systems, Personnel Types and Performers should be used to wrap the human and system elements together. A SV-1 can optionally be annotated with Operational Activities, Capabilities, and/or Locations originally specified in OV-2 Operational Resource Flow Description model. In this way, traceability can be established from the logical OV structure to the physical System Viewpoint structure. If possible, a SV-1 shows Systems, Physical Assets and System interfaces for the entire Architectural Description on the same diagram. If a single SV-1 is not possible, the resource of interest should be decomposed into multiple SV-1 models. Functions (Activities): Some Resources can carry out System Functions (Activities) as described in SV-4 Systems Functionality Description model and these functions can optionally be overlaid on a SV-1. In a sense, the SV-1 and the SV-4 Systems Functionality Description model provide complementary representations (structure and function). Either could be modeled first, but usually an iterative approach is used to model these together gradually building up the level of detail in the System description. Note that the same type (class) of resource may be used in different contexts in a given SV-1. For this reason, the tracing of functions to resources is specified in context of their usage (see DM2 for details). Resource Flows in SV-1: In addition to depicting Systems (Performers) and their structure, the SV-1 addresses Resource Flows. A Resource Flow, as depicted in SV-1, is an indicator that resources pass between one System and the other. In the case of Systems, this can be expanded into further detail in SV-2 Systems Resource Flow Description. Interactions are only possible between Systems and Services. System Resource Flows provide a specification for how the operational Resource Flows Exchanges specified in Needlines (in the OV-2 Operational Resource Flow Description model) are realized with Systems. A single Needline shown in the OV-2 Operational Resource Flow Description model may translate into multiple System Resource Flows. The actual implementation of a System Resource Flow may take more than one form (e.g., multiple physical links). 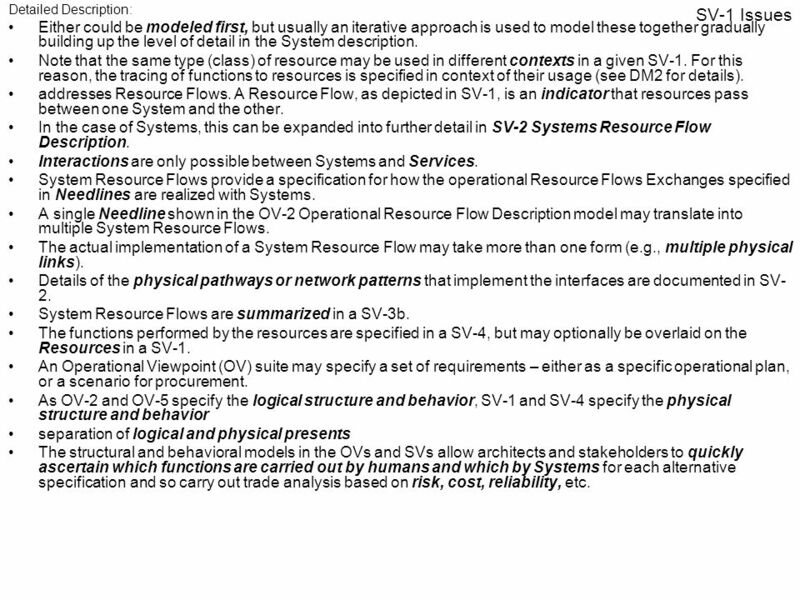 Details of the physical pathways or network patterns that implement the interfaces are documented in SV-2 Systems Resource Flow Description. System Resource Flows are summarized in a SV-3b Systems-Systems Matrix. The functions performed by the resources are specified in a SV-4 System Functionality Description, but may optionally be overlaid on the Resources in a SV-1. An Operational Viewpoint (OV) suite may specify a set of requirements – either as a specific operational plan, or a scenario for procurement. As OV-2 Operational Resource Flow Description, OV-5a Operational Activity Decomposition Tree, and OV-5b Operational Activity Model specify the logical structure and behavior, SV-1 and SV-4 Systems Functionality Description specify the physical structure and behavior (to the level of detail required by the architectural stakeholders). This separation of logical and physical presents an opportunity for carrying out architectural trade studies based on the architectural content in the DoDAF-described Models. The structural and behavioral models in the OVs and SVs allow architects and stakeholders to quickly ascertain which functions are carried out by humans and which by Systems for each alternative specification and so carry out trade analysis based on risk, cost, reliability, etc. 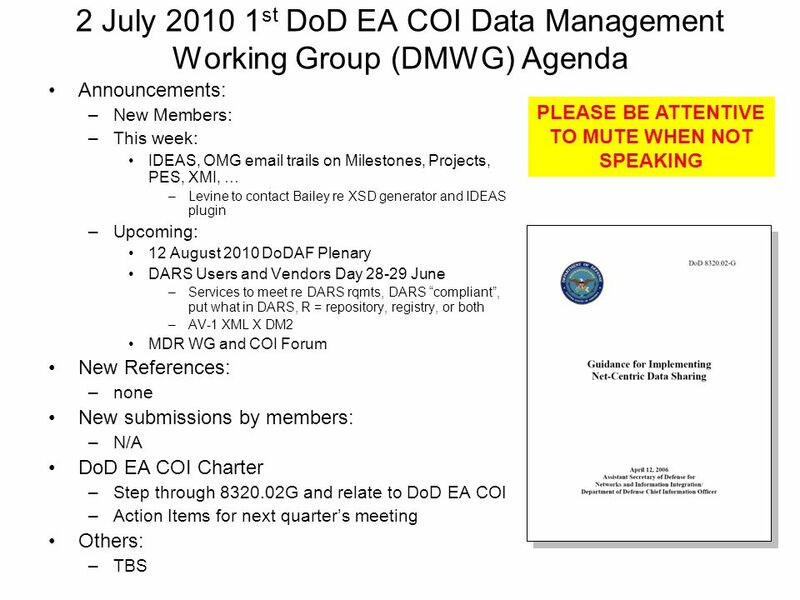 Download ppt "PLEASE BE ATTENTIVE TO MUTE WHEN NOT SPEAKING"
Copyright © 2006 Data Access Technologies, Inc. Open Source eGovernment Reference Architecture Approach to Semantic Interoperability Cory Casanave, President. Component-Based Software Engineering Main issues: assemble systems out of (reusable) components compatibility of components. Human Views for MODAF Dr Anne Bruseberg Systems Engineering & Assessment Ltd, UK on behalf of the Human Factors Integration Defence Technology Centre.